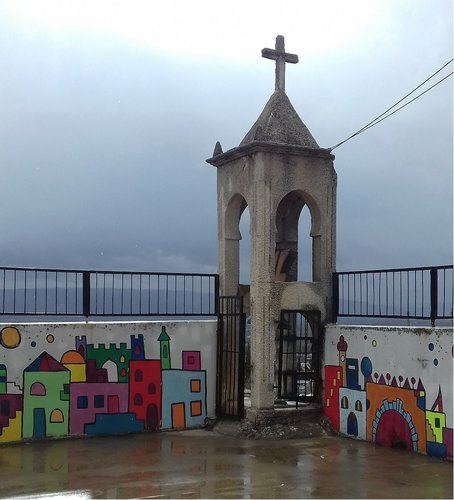 In 2008, on the initiation of the World Council of Churches (WCC), the Reformed Church in Hungary (RCH) also participated in the Ecumenical Accompaniment Program in Palestine and Israel (EAPPI). In 2010 a consultation was held with the United Church of Christ (UCC) on the Hungarian Reformed participation in its programs in the Middle East. In 2011 the RCH hosted a discussion with partner churches in the United States (namely PCUSA and UCC), and made a verbal agreement on RCH joining the mission programs in the Middle East of the above mentioned churches in the following specified fields: in Syria, providing humanitarian aid through the Hungarian Reformed Church Aid (HRCA), and also in Iraq demonstrating the RCH’s solidarity. In 2016 the Fellowship of Middle East Evangelical Churches (FMEEC) organized its third international conference emphasizing the necessity of an open dialogue between the East and West, while finding ways for Evangelicals to play a role in this due to common linkages with both eastern Christian and Muslims, as well as with the West. 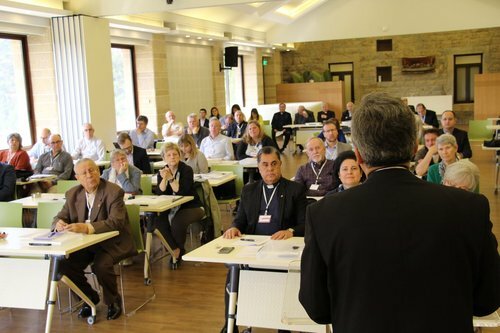 In June of 2017, Delegations from the RCH and the National Evangelical Synod of Syria and Lebanon (NESSL), attending the General Council Meeting of the World Communion of Reformed Churches (WCRC), discussed their cooperation within ecumenical bodies. Later, Rev. 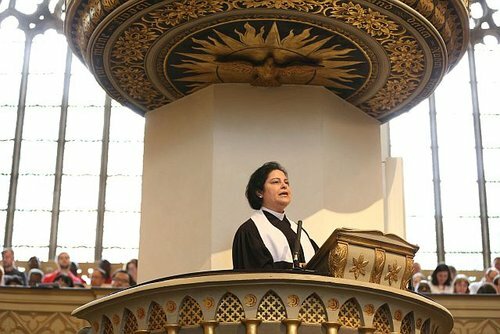 Najla Kassab, the second women to be ordained in NESSL, was elected as President of WCRC, and Diána Erdélyi, the Ecumenical Secretary of the RCH, was elected as a member of the WCRC Executive Committee. In July of 2017, as an expression of the strengthening partnership with Reformed Churches in the Middle East, three Reformed youth from Syria attended the Starpoint Reformed Youth Festival on the invitation of the RCH. They shared their experiences on their lives in Syria, and they also reflected on their experiences at the Reformed Youth Festival of the RCH. In November of the same year, Rev. Haroution Selimian, President of the Armenian Evangelical Community in Syria, visited Budapest and attended the International Conference on the Persecution of Christians: Seeking Answers for the Long-neglected Crisis, hosted by the Deputy State Secretariat for the Aid of Persecuted Christians within the Ministry of Human Capacities. During the visit, the Armenian Church leader also had a discussion with the Ecumenical Office of the RCH on the solidarity visit to Syria, planned for December 2017. Later that autumn, joining the program of the Swiss Reformed Church Aid (HEKS), the HRCA launched a fundraising campaign in support of the Sunday Program of the Reformed Churches in Syria. On Reformation Day, in Debrecen, the Great Church congregation offered of 2 000 euros to the project. This fundraising campaign continues today. Between the 17th and 19th of November 2017, the Protestants in Egypt celebrated the 500th Anniversary of the Reformation in Cairo, Egypt, together with international guests, including the President of the Council of Evangelical Churches in Germany (EKD), as well as the General Secretary of the WCRC. Representing the RCH, Rev. Balázs Ódor attended the celebration, consulting with the leaders of various Protestant churches in the Middle East, among them, the Reformed church leaders in Syria and Lebanon. On 4-11 December 2017, a delegation of the Reformed Church in Hungary traveled to Lebanon and Syria. The purpose of the visit was to learn more about the life and challenges of the Reformed Churches in the Middle East, expressing the solidarity of the RCH with them, and mapping out possible future programs for financial support together with leadership of the NESSL, UAECNE, and FMEEC. These meetings were followed by personal encounters with local congregations in Homs, Latakia and Aleppo. In addition, the visit provided an opportunity to prepare for a visit of RCH leadership to Syria in the near future. In January of 2018, The Hungarian Reformed community joined the HEKS scholarship program supporting Syrian school kids. RCH continues in partnership with HEKS to support the work of Reformed churches in the Middle East. 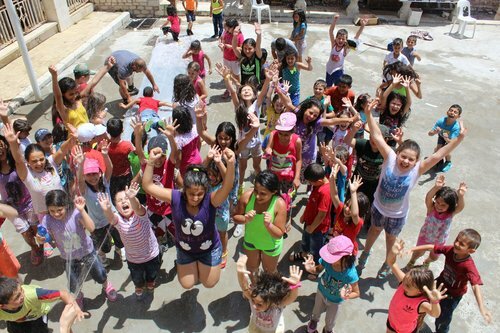 The Scholarship for Church Schools in Syria Program by HEKS encourages and strengthens the inclusive environment of the schools, allowing a safe space for Muslims and Christians to learn and live together. And the next month, in February 2018, the RCH decided to redirect 10 000 euros per year in support of the projects of the Reformed Churches in the Middle East on the account of the annual financial support provided by Gustav-Adolf-Werk (GAW), a German aid organization. 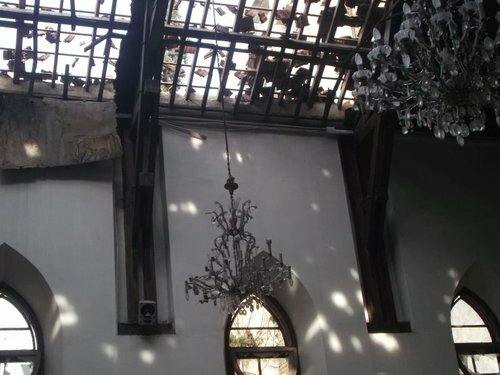 In this way, the RCH is also indirectly contributing to the renovation of the Emanuel Evangelical Church in Aleppo, Syria. In Aprilof 2018, in addition to attending the WCRC Europe Council Meeting in Budapest, Rev. 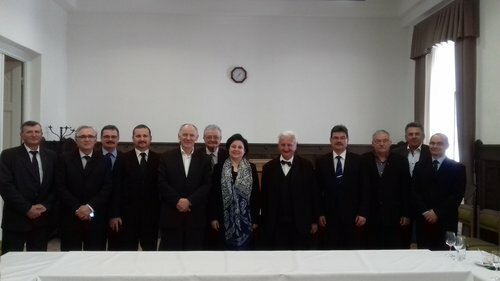 Najla Kassab, ordained pastor of NESSL and President of the WCRC, joined the meeting of the Presidium of the General Convent of the Hungarian Reformed Church (HRC). The visit included a conversation on the cooperation between the two churches with the Presiding Bishop, Rev. István Szabó and other representatives of the RCH. That same month, NESSL organized its third consultation with international partners with the theme “Together for Reconciliation and Reconstruction.” The RCH was also represented. Participants of the consultation learned of the challenges that the people living in Syria faced in the war-torn country. They also spoke of their services and the ways in which international partners can help the Christians in the Middle East. 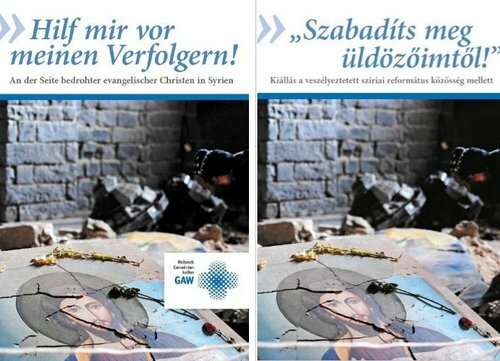 October 2018, the Hungarian translation of the German publication on the life and situation of Protestants in Syria was released. The booklet was originally created by the GAW, an aid organization responsible for the Diaspora work of EKD, under the title Deliver Me from All Who Pursue Me. GAW not only has allowed the rights of the booklet to be used, but also has financially supported the publication of the Hungarian volume. The booklet is available for a voluntary donation which will go to supporting the Sunday school project in Syria. From the 8th to the 12th of October, leaders of the two Syrian partner churches, Rev. Joseph Kassab, General Secretary of the National Evangelical Synod in Syria and Lebanon, and Rev. Haroution Selimian, President of the Protestant Community in Syria, visited Hungary on the invitation of the RCH Presiding Bishop, Rev. István Szabó. During their visit, the church leaders met with representatives of various ministries and institutions of the RCH, as well as RCH congregation members in the framework of a roundtable discussion. Since November 2017, the RCH Ecumenical Office has been in contact with the State Secretariat for the Aid of Persecuted Christians. The first meeting with Azbej Trisztán, the State Secretary, was held before the RCH solidarity visit to Syria. On his request, the Ecumenical Office presented a summary of Reformed projects in Syria recommended for financial support. 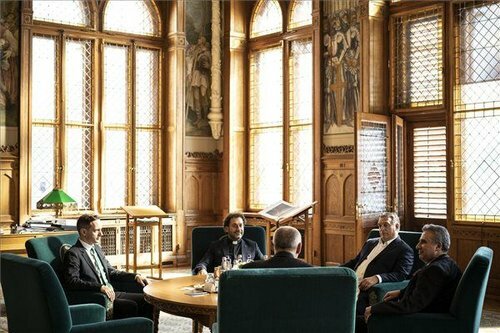 After careful preparation, the Syrian church leaders were able to meet with Hungarian Prime Minister, Viktor Orbán, during their visit. 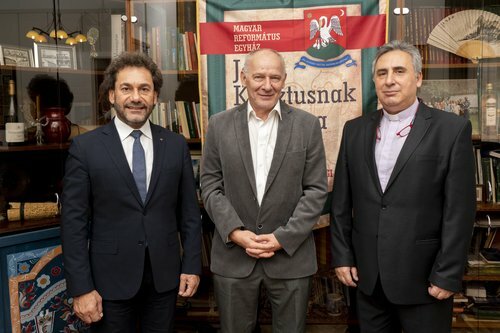 Thanks to the facilitation of the RCH, the Syrian partner churches were granted with the financial support of 1 million euros, respectively, which may be the beginning of a long-term commitment by the Hungarian government to the Syrian government.